Unlike some people – who from their certainty were not only alive at the time, but high in King Richard’s confidence – I honestly do not know what became of the two boys we call for convenience ‘The Princes’. I have read all sorts of theories about what happened to them and none entirely convinces me. However, I very much doubt they were killed by or on the orders of Richard III. There were rumours that the Princes had been murdered while Mancini was in England (he left round about the time of Richard’s Coronation in July 1483.) But at this time, and for at least a few months more, they were still alive, as it is claimed they were still to be seen in the Tower in the late summer before being withdrawn from public gaze. This demonstrates that public rumour, even when written into a Chronicle, is not the same as fact. Indeed it would be tedious to relate the long litany of false rumours that circulated in the 15th Century – perhaps the most enduring being the belief that Richard II was still alive in Scotland as late as 1417. It appears that at least some elements of ‘Buckingham’s Rebellion’ in the autumn of 1483, intended to restore Edward V, but then a convenient rumour spread to the effect that Edward was dead; whereupon the rebels changed their allegiance to Henry Tudor, or possibly Buckingham himself. Rumour was certainly a powerful weapon in politics, and it is worth remembering that it was more often than not wielded by the sovereign’s enemies. What was the purpose of murdering a deposed King? Something that was never done lightly. The answer is simple, to discourage risings in his name. It did not always work – as in the case of Richard II. But equally, if often did, as in the case of Henry VI. However, there was no point in murdering the King and leaving an element of doubt for people to build rumours upon. In the cases of both Richard II and Henry VI (and also Edward II, Hotspur and Warwick, to name but three) the body of the dead enemy was put on public display, and, in theory at least, anyone could go to look at him and make sure. It has been suggested that it would have been ‘too shocking’ for the bodies to be displayed, that people would have been outraged. This misses the point. Some people were outraged, even at a time when the boys were known to be alive. By late 1483, many believed Richard had killed them anyway. So what was there to lose? But there was something to be gained. No doubt an official explanation could have been put together. Very probably not everyone would have believed the story, just as not everyone believed the official accounts of the deaths of Richard II and Henry VI. But some would. And it would have brought about what we now call a sense of closure, to say nothing of diminishing the chances of any future imposters. What is more, the boys could have been given a proper funeral and a proper tomb, and masses could have been said for their souls. While not wiping out the grave sin of murder, it would at least have been a measure of mitigation. It is one think to believe that Richard III was wicked – quite another to believe he was stupid. But then again, there are people quite willing to take as historical fact that he had a sturdy Tower staircase taken apart and hole dug beneath it ten feet deep in order to keep the secret. Really, what a secret that would have been! Guess who’s coming to dinner….? An article about a dinner party in today’s Gloucester Citizen newspaper concerned an imaginary dinner party held at Sudeley Castle, by its present owner, Lady Ashcombe. She described her menu and six guests, all of whom had once owned the castle. It prompted me to ask others what party they would hold. Here’s mine. Please note, more than a little fun is intended. And I know there’d be countless more reasons for my particular guests to start a ruck, but I’ve only picked out a few. For me the small dinner party would comprise mostly Wars of the Roses guests, with two exceptions, and it would be held on a fine high-summer evening in a sumptuous little pavilion on top of Chosen Hill here in Gloucester. Because the view is so wonderful, Yorkist look-outs came to the hill before the Battle of Tewkesbury, to report on the progress of the Lancastrian army. My dinner guests would be able to see the Vale of the River Severn all the way from Bristol in the south, past the Forest of Dean due west, to the heights of the Malvern Hill further north. And beyond the Forest of Dean to the Black Mountains in Wales. To the east, behind the pavilion, is the escarpment of the Cotswold Hills. A perfect venue, IMHO. I’d serve them a Severn salmon starter, followed by a Gloucester Old Spot pork roast, with local asparagus and other fresh summer vegetables. The dessert would be a deliciously light perry syllabub with wild strawberries, and finally a cheese board that includes Double Gloucester. All with white wine and liqueurs from local vineyards. And which six guests would I invite? Well, first and foremost Richard III, of course, for he’s essential. He was known to be a good host, with, I’m sure, charm and a quick sense of humour. Just the sort of guest who can make a dinner party go well. And he’d have so much to reveal about what really went on in 1483, what truly happened to his nephews, whether he really did love his wife, what he actually thought of Elizabeth of York, and so on. His final opinion of his brother, Edward IV, might be worth hearing too, as would his view of Bosworth, the Stanleys, the French, the Scots and how any one man could reasonably be expected to keep everyone happy. He might also reveal whether, with hindsight, he wished he’d been more ruthless with Henry Tudor’s tricky mother. But he always found it hard to be really harsh with women, so maybe, even knowing what happened, he’d still have been lenient. A bit of a softie that way, I am afraid, as he’d be mocked in no uncertain terms by my next guest, said Henry Tudor. Henry could also be amusing when he wanted to be. Which, admittedly, was not often. It would be a case of bringing him out of his carefully built shell bunker, and getting him to lighten up a little. His conversation with Richard would be both sharp, highly informative and entertaining. They might have more in common than they want to admit. Oh, and Henry might be persuaded to admit he was hag-ridden by his mother. Perhaps she frightened the heck out of him. She would me. And it would be intriguing to know if he really did love his wife, or whether he deserved the adjective ‘unuxorious’. But he’d be attacked on all sides at that dinner table because of his savage laws and horrific means of raising taxes. I wonder how he’d defend himself? Or if he’d even bother? Interesting to find out. Thirdly, the first of my two non-WotR guests, Richard II, who also knew how to live and entertain well, and shared with our Richard the harrowing experience of being usurped and killed. He’d generally side with Richard, because the House of York would be more to his taste than anything even remotely to do with the House of Lancaster, which he despised. Well, he would, wouldn’t he? So he’d have no time for Henry or my two Lancastrian lady guests, and would say so. But he’d have to be persuaded to loosen up a little, because he’s too convinced of his own supremacy and would try to be king of the dinner party as well. Our Richard and Henry wouldn’t have any of that, and our Richard would be the one to coax him into some semblance of agreeability. My first lady would be Margaret of Anjou, who wouldn’t like being anywhere near Richard III, and would be outspoken about it. She’d refer to the entire House of York as usurpers, but especially him, because he was on the winning side at Tewkesbury, where she lost her only son. She was a feisty, non-nonsense lady, who could talk battle with him and with Henry, on equal terms. A glass or two of wine might mellow her somewhat, at least, it’s to be hoped it wouldn’t make her more belligerent. Henry, smarting a little on account of my next lady guest’s revelations, might do his utmost to make Margaret confess who was her son’s sire, because it was most unlikely to have been her husband, Henry VI. She’d find it hard to maintain her hostility to our Richard, because he wouldn’t allow it. It’s difficult to argue with someone who is always reasonable, measured and charming in return. Richard III would never argue with a woman. So I think she’d have to come around a little . . . or stomp out of the pavilion. After her? The other non-WofR guest, Henry’s grandmother, Catherine of Valois, because she might be able to make him squirm with the truth about who fathered his father. Oh yes, there’d be quite a few salacious brushed-under-the-royal-carpet rumours about parentage being served with the wine. She’d be generally on Henry’s side though, and a bit offish with our Richard for being her grandson’s foe. She was a flirtatious lady, from all accounts, and would play the coquette with all three men, making herself appear to be the only desirable woman present. Perhaps she wouldn’t be able to resist playing footsie with Richard II, just to see if he had any red-blooded male urges. Which I am sure he did. Somewhere. Or maybe he’d be giving Henry surreptitious winks, much to that king’s indignation. Who knows? Finally, our Richard’s sister, Margaret of Burgundy, who’d have plenty to berate Henry about. She’d also have all the dirt on the princes, Lambert Simnel, Perkin Warwick and any other Yorkist threat to Henry’s peace of mind. She would, of course, side with her brother on absolutely everything, which would soon have her exchanging acid ‘pleasantries’ with the other Margaret. She’d also be cross with Richard II for mishandling his own reign to the extent that the House of Lancaster got a large flat foot in the throne-room door. So she’d be the first to slap down his airs and graces at the table. It might shock him so much he’d be rendered speechless until the main course. After that, there’d be no shutting him up. That Gloucester wine is good stuff. As to which order I’d seat them . . . I have no idea. Maybe, to introduce a little informality to the proceedings (after all, it is in a pavilion), I’d let them choose for themselves. No sitting alone outside, though. No backs turned, noses raised or other unpleasantness. And definitely no sulking. I hope that by the end of the meal they’d all be as close to amiability as such a gathering could be. With luck, anyway, because if there’s any fisticuffs and damage, I’d be very cross. The pavilion would have been hired at great expense and I’d draw the line at forking out any more because my royal guests became too rowdy. It also occurred to me that if Richard had been as manipulative, murderous, and sneaky-crafty at hiding his intentions for nigh on 12+ years and hiding out in Yorkshire while planning to satisfy his (always hidden) overweening ambition by snatching the throne when Edward IV obligingly died, then that Richard would never have lost the Battle of Bosworth. That Richard would have lost no time running away to fight another day. Because self-preservation? That’s been at the top of every known psychopath’s list of priorities. The suggestion in John Ashdown-Hill’s Royal Marriage Secrets (pp.69-74) that Edmund “Tudor” may have been fathered by Edmund Beaufort, of Somerset, and not by Owen Tudor, Catherine de Valois’ servant and apparent illegal husband, is most intriguing. It is clear that Edmund was a “transitional child” between one of her relationships much commented on at the time and one better documented afterwards. Is Edmund unique in this? The further hypothesis that I detail here would involve yet another possible surname for the 1485-1603 monarchs, although it has less evidence to date than the impressive array already assembled in the Beaufort-Tudor case so far. Joan (c.1379-1440), who married Ralph Neville to become Countess of Westmorland and ancestress of almost all monarchs from 1461. These dates have all been taken from the relevant ODNB articles. The births are all thought to have occurred during the 1370s. Note that the middle and younger sons were both childless, Henry having taken holy orders and Thomas by chance, and that the fourth was female so that her children all taking her husband’s surname, thus Dorset was the progenitor of all future Beauforts, including Edmund of Somerset. The ODNB article on Catherine is of the view that Sir Hugh died in November 1371, probably after Dorset’s birth. Some writers, including Ellis, take the view that Dorset was “in double advoutrow goten” (ie both partners were committing adultery), as quoted in Richard’s “Tydder” warrant to John Russell, his Chancellor. At the very least, we have another “transitional child”. The Complete Peerage entry gives Sir Hugh’s death year as 1372 and agrees that, contrary to Kingsford’s conclusion in the original DNB, Dorset was born by then because he was granted a hundred marks a year by Richard II in 1392. However, English common law has the “presumption of paternity”, referred to by Blackstone in his 1769 opus Commentaries on the Laws of England, which states that any child born to a married woman is assumed to be that of her husband unless it can be proven otherwise. This principle must date from before it was applied as “Lord Mansfield’s Rule” in the following decade (Goodright ex dim. Stevens v Moss et al (1777) 2 Cowper 591, English Reports citation 98 ER 1257) and would presumably apply even if the husband dies before the child is born. If this applied in the late fourteenth century, Dorset would legally be Sir Hugh Swynford’s son and it would not take much stretching of the imagination for this to be a biological relationship as well. The 1235 “Statute of Merton” stated that a child born before its parents’ marriage would be illegitimate, implying that the converse is also true – hence the presumption. At the same time it is easy to understand why a small child should be raised as the illegitimate child of a living royal Duke rather than the legitimate son of a dead knight. The implications are also significant in that no Beaufort after the Cardinal’s death would have been of English royal descent. Furthermore, this corollary is capable of disproof through Richard’s rediscovery in that Dorset’s descendants the Dukes of Beaufort are his only Y-chromosome comparators since Viscount Lisle died in 1542 (or even Edward VI in 1553). However, a mismatch would not actually prove the point as there may have been an incorrectly identified father later on, or a degraded sample. ODNB “Katherine, duchess of Lancaster” by Simon Walker [http://www.oxforddnb.com/view/article/26858, accessed 22 Aug 2013]. ODNB “Beaufort, John, marquess of Dorset and marquess of Somerset” by G.L. Harriss [http://www.oxforddnb.com/view/article/1861, accessed August 22, 2013]. http://en.wikipedia.org/wiki/Paternity_(law) (accessed August 23, 2013). http://en.wikipedia.org/wiki/William_Murray,_1st_Earl_of_Mansfield (accessed August 23, 2013). http://uniset.ca/other/cs4/98ER1257.html (accessed August 26, 2013). The Complete Peerage (vol. XIIi, pp. 39-40, 1953). Thanks to Ben Redsell (Ipswich) and Susan Troxell (Philadelphia). They are descended through the King’s second son, Edmund – quite apart from the uncertainty in some sources over the seniority of Edward’s sons, this is FALSE. John of Gaunt is their common ancestor. Agnes Gascoigne, great-great-great-great-grand daughter married Sir Thomas Fairfax and the lines divide by their two sons – TRUE. This Sir Thomas was the Civil War Parliamentary commander – FALSE. Thomas was a popular name in the Fairfax family and Agnes’ husband lived from 1476 to 1520. The soldier was descended from a cousin, had only a daughter and no grandchildren. Catherine Middleton’s descent passes through the Meadows family of Chattisham (near Ipswich) and the Martineau family from Norwich before marrying into a Yorkshire family. Prince William’s descent passes through the Belasyse family into the Binghams (Earls of Lucan) and into his maternal line. At the same time, I was able to view Prince William’s other maternal ancestry (his paternal family seven generations back being largely German or Scottish), including the frequently mentioned Charles II connection. Furthermore, he fits my modern definition of “Yorkist” in that he has a descent from one of Richard III’s siblings without a Tudor connection – Anne of Exeter being the matriarch of the (Manners) Earls and Dukes of Rutland, the first Duke of Rutland being progenitor of the (Russell) Earls of Bedford, eventually leading to the Spencers. On 28 July 1399, William Scrope, Earl of Wiltshire, Lord Treasurer of England and King of Man, Sir John Bushey and Sir Henry Green were executed outside Bristol on the orders of Henry Bolingbroke (later Henry IV). They had a summary trial at best, and quite probably no trial at all. It is not at all clear what they are supposed to have done wrong. Bolingbroke had no lawful authority to execute them as he he had been exiled by Richard II and held no Office under the Crown. He was not (for example) Lord High Constable or Lord Protector. Sir John Russell, Master of the Horse to Richard II, would have shared the same fate, except that he was found to be temporarily insane. He was therefore reprieved, later recovered from his mental illness, and managed to survive. If these men had been killed by Richard III, their names would be all over Facebook. However, as they were murdered by a (future) Lancastrian King, no one seems to mind. Funny that. Thomas Grey was the elder son of Elizabeth Woodville by her first husband Sir John Grey of Groby. Not unnaturally, once his mother married King Edward IV, Thomas’ position in society improved markedly and he became prominent at court, eventually being created Marquess of Dorset. In addition he made successive marriages to heiresses, Anne Holland and Cecily Bonville, and was very nicely placed when his stepfather died. He is credited with an unfortunate boast that the Council could manage and decide policy without the Duke of Gloucester. Events proved otherwise. After initially taking sanctuary at Westminster with his mother, Grey managed to escape, and despite Richard III’s attempts to capture him, fled to Brittany where he joined Henry Tudor’s miscellaneous collection of misfits, traitors and exiles. He then followed Tudor to France, where something very surprising happened. Elizabeth Woodville had made her peace with Richard III, and now she apparently contacted Grey and told him to come home, presumably with the approval and good will of the King. What is surprising is that Grey immediately defected from Tudor’s ‘court’ and attempted to return to England. He was however captured near Compiègne and held at Paris where he remained as ‘security’ for loans advanced to Tudor by the French. He was not, therefore ‘available’ for the Battle of Bosworth. Now it is absolutely certain that Richard had executed Grey’s Uncle Anthony Rivers, and his full brother, Sir Richard Grey. According to some people he did so for no particular reason. The same people are convinced that Richard also murdered Grey’s half-brothers the ‘Princes in the Tower’. So what on earth, if this was so, was Grey thinking about? 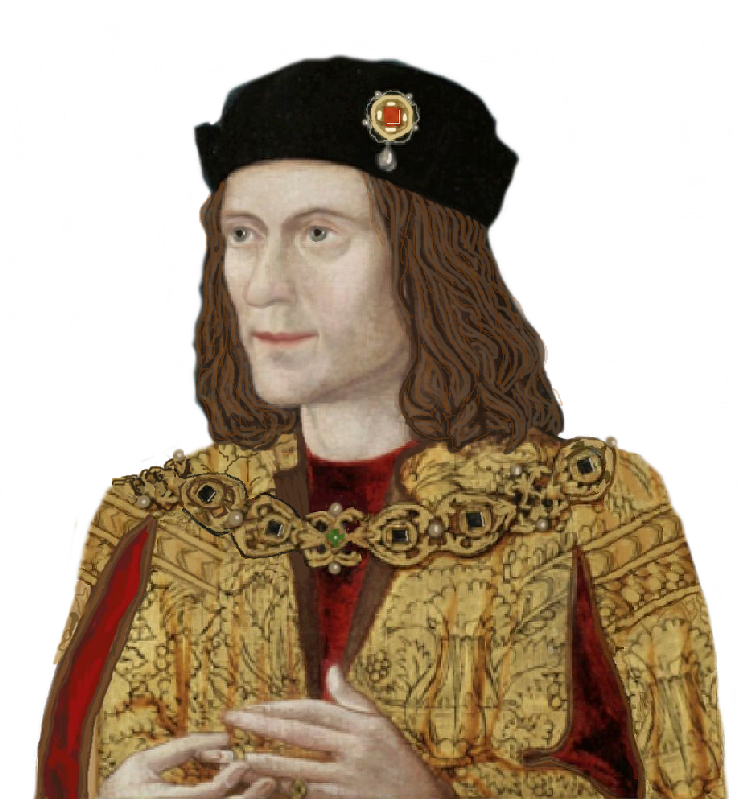 It is sometimes argued that Elizabeth Woodville had ‘no choice’ but to come to terms with Richard III, who was apparently firmly established as King. (The same people will tell you in the next breath that Richard’s position was fragile.) Now this might be true as far as she was concerned, but it was certainly not true in the case of Grey, who was safe in France. In his position would a wise man not have thought that his mother was writing under duress? What on earth would have possessed Grey to return to the court of a man who had supposedly killed four of his nearest male relatives for no particular reason? Was he suicidal? Was Tudor’s breath really that bad? An alternative view might be that Grey had received ‘new evidence’. Perhaps he knew very well that his uncle and brother had been plotting against Richard, and that their deaths were therefore ‘fair game’. Perhaps he now learned that his half-brothers were alive and well, or that someone other than Richard had killed them. Would this not make his course of action seem more reasonable? Be that as it may, it is certain that Henry Tudor never trusted Grey again. At the time of the Lambert Simnel Rising, Grey was shut up in the Tower. Why? Why should Henry VII suppose that Grey would wish to depose his own half-sister, Elizabeth of York, to set up the son of Warwick, a noted family enemy? It simply does not make sense as presented. Even if we assume Elizabeth Woodville retired to Bermondsey voluntarily, gleefully shedding the responsibility for her lands at the same time, it is certain that Grey did not enter the Tower for a time of prayer and reflection. Even in 1492, when Grey accompanied Henry to France, he was forced to declare in writing that he would not commit treason. Why on earth should this have been suspected of him? Asking a nobleman to sign a promise not to commit treason was certainly a rare distinction, if not a unique one. It really demonstrates that Grey was one step away from the Tower for the rest of his life. Feel free to produce reasons for Henry’s distrust of Grey that do not challenge the ‘accepted version of events.’ I can’t think of any myself. Henry Tudor to a T…? When I saw this dragon in the Tudor Pattern Book, I immediately thought of Henry Tudor. The dragon was green, so now he’s red, and has a white rose between his teeth. Seems like Henry to me. There is only one last goodie in my hoard of photographs from the Gloucester Richard III Exhibition in the spring this year. Well, one that is clear enough to be worthy of posting. It’s of the Towton Ring, and the notice with it said as follows: “This gold signet ring was found on the site of the Battle of Towton. On it is a lion, the family crest of the Percys, and the motto ‘Now is thus’. The ring has long been thought to have been worn by Henry Percy, 3rd Earl of Northumberland, who killed Richard’s father, Richard, Duke of York, at the Battle of Wakefield in 1460. Henry was himself killed at Towton in 1462.” Loaned by the Trustees of the British Museum. A 1990s tee shirt logo of interest…. My US friend found this on a tee shirt she thought she had lost some time ago. It dates from around 1990. I am told by Matthew Bayley that the design is probably taken from the 15th C sallet that was stolen from a Cornish church years ago. It was there as a funerary piece. Many helmets were stolen in the last century from unsecure churches. The design crops up in Burgundian tapestries. Thank you for the information, Matthew.